Hello , it's me, almost 1 year since my last upload I bring my adaptation of CS: Source's de_prodigy, yes, I know there's like 2 other "de_prodigy" there, but they got really old and actually were never played. This took me no more than a day to make. 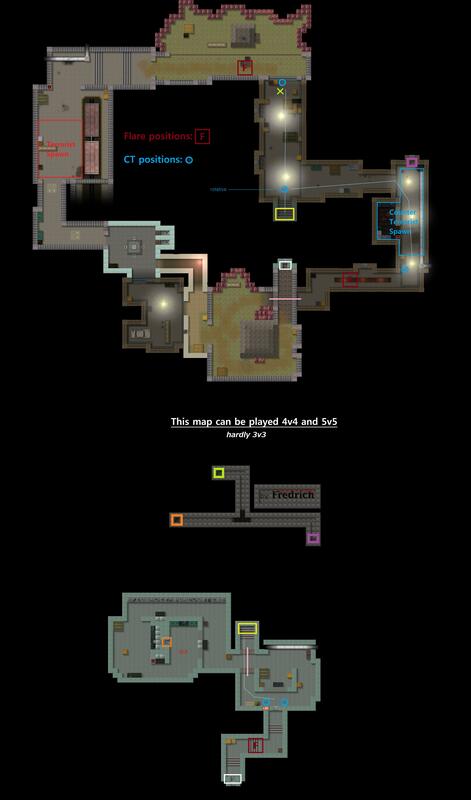 It's REALLY loyal to the original de_prodigy (from CS: Source), in almost every aspect. Hope you enjoy this map, hope you leave a like and stuff. Don't re-upload or edit, for any issue contact me via PM. If you should be on the Credits tell me and I will add you. This map is meant to be played 4v4/5v5, also can handle 3v3. This map looks a lot like a HL1 Styled map. Map is pleasing to eye, nice details. Some parts are maybe a bit oversized compared to CSS's prodigy. Images fixed, to see the mapexport and spots/teleports/flares check the Spoiler. Keep working hard like that FDK, u are probably the only mapper in cs2d.net atm :)!